President Barack Obama’s third choice for Secretary of Commerce, Gary Locke was confirmed by the Senate on March 24, 2009. Locke is one of the Democratic Party’s biggest advocates for free trade—and someone whose political career appeared dead and buried following a rash of death threats and hate mail that came in response to Locke’s last appearance on the national stage. Born on January 21, 1950, in Seattle, Locke is a third-generation Chinese-American. His great-grandfather came to America in the late 1800s, working in California, before returning to his family in China. His grandfather, Suey “Gim” Locke, arriving in the United States as a teenager at the turn of the century, took a job as a houseboy in Olympia, just blocks from the Washington State Capitol. The family he worked for taught him English in exchange for work, and he moved on to become head chef at Seattle’s Virginia Mason Hospital. His father, James, raised in China, was the first to settle permanently in America, owning a restaurant in Seattle’s Pike Place Market and later, a corner grocery in the Queen Anne Hill neighborhood. A near-fatal shooting of his father in a stick-up later helped to prod Locke into public life. Locke was the second of five children of James and Julie Locke, who was born in Hong Kong. While growing up, Locke spent his first five years in Seattle’s Yesler Terrace, a public housing project for families of World War II veterans that was the nation’s first racially integrated housing project. At home, the family spoke Taishanese, a sub-dialect of Cantonesee, and Locke did not learn to speak English until he entered kindergarten. He worked in his father’s grocery store and participated in the Boy Scouts and Eagle Scouts. He graduated with honors from Seattle’s Franklin High School in 1968. Locke attended Yale University, which required him to hold several part-time jobs and receive financial aid and scholarships. He earned a bachelor’s degree in political science in 1972 and a law degree from the Boston University School of Law in 1975. At Boston, he met his first wife, Diane Wong. The couple divorced after four years. 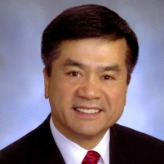 In 1993, Locke made history by becoming the first Chinese-American to be elected King County’s County Executive, defeating incumbent Tim Hill. The following year, on October 15, 1994, Locke married his second wife, Mona Lee, a former television reporter for the NBC affiliate KING–TV in Seattle. The Lockes went on to have three children: Emily Nicole, Dylan James, and Madeline Lee. In 1996, Locke won the Democratic primary and general election for governor, becoming the first Chinese-American governor in US history. In December 1997, Locke’s political committee was fined a maximum $2,500 by state regulators after it admitted breaking campaign finance laws during two out-of-state fundraisers in 1996. Locke was briefly linked to a scandal over foreign contributions to President Bill Clinton’s 1996 presidential campaign. In July 1998, he gave a deposition to the House Committee on Government Reform and Oversight about his relationships with questioned Clinton donors. But the committee later said the deposition produced no evidence that Locke knowingly accepted illegal campaign donations. Locke denied any wrongdoing, and he subsequently returned some checks tied to people implicated in the fundraising scandal, including $750 from John Huang. The former Commerce Department official was the Democratic Party's chief fundraiser for the Asian-American population in the 1996 elections, and he became one of the central figures in the national Democratic Party fundraising scandal. In March 1998, state investigators cleared Locke of wrongdoing following complaints that he unlawfully took $10,000 in campaign contributions from members of a Buddhist church. Locke easily won re-election in 2000. But serving as governor got a lot tougher the following year, as Democrats criticized Locke for embracing the Republican Party’s no-new-taxes approach to dealing with Washington’s budget crisis in 2001. Among his spending cuts were layoffs for thousands of state employees, reductions in health coverage, freezes on most state employees’ pay, and funding cuts for nursing homes and programs for the developmentally disabled. In his final budget, Locke suspended two voter-passed, pro-school initiatives, while cutting state education funding. That same state budget, though, had record-high allocations for construction projects. Locke’s tough fiscal policies almost resulted in a primary challenge by Democrats in 2004, but former state Supreme Court Justice Phil Talmadge ended his campaign early for health reasons. Nationally, Locke’s moderate political portfolio won attention from Democrats in Washington, DC, who saw him as a rising star. He was chosen to give his party’s response to President George W. Bush’s 2003 State of the Union address—a move that resulted in death threats and hate mail being targeted at Locke and his family. That same year, a member of an extreme right-wing group was arrested for plotting to assassinate Locke. Locke surprised many in his state when he announced in 2003 that he would not seek a third term as governor. Some analysts suspected the ugly response from his State of the Union rebuttal pushed Locke out of politics. After leaving office, Locke became a partner in the Seattle office of international law firm Davis Wright Tremaine LLP, in their China and governmental-relations practice groups. During the 2008 Democratic presidential primary, Locke was a supporter of Hillary Clinton, serving as co-chairman of her campaign in Washington. If confirmed as Secretary of Commerce, Locke would become the first Chinese-American to hold the post, and the third Asian-American in Obama’s cabinet, joining Energy Secretary Steven Chu and Veteran Affairs Secretary Eric Shinseki. Locke’s affiliations and memberships include serving as chair of the Democratic Governors Association (2003), a board member of Digital Learning Commons (2003–present), the Fred Hutchinson Cancer Research Center (2005–present), Key Technology Inc. (2008–present), Safeco, Inc. (2005–present), Seattle Art Museum (2006–present), and a member of Committee of 100, a group of prominent Chinese-Americans who promote links between the United States and “greater China,” which includes China, Taiwan and Hong Kong.